Sick Son Production has teamed up with "Hey Ron" Entertainment to bridge the comedy gap between the coasts! "Hey Ron" Entertainment represents rising comedy stars from New York, LA, and elsewhere USA and Sick Son Production runs outstanding shows. 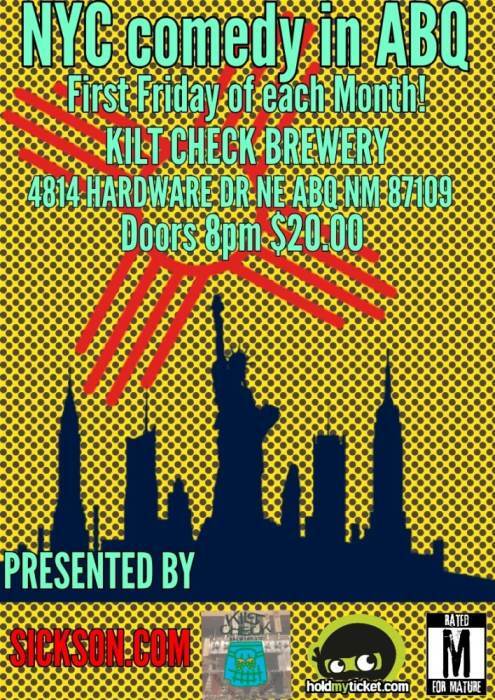 When you want comedy that's ill, we'll give you the bird on the first Friday of each month at Kilt Check Brewing Company!